Portland fluoride vote: Will medical science trump fear and doubt? The city has been fighting fluoridation for 50 years. Will facts trump fear this month? America is a fluoride nation. Beginning in 1945, when Grand Rapids, Mich., became the first city in the world to add the stuff to its water supply, the practice has spread across the United States. In most areas it is simply understood that ingesting minuscule levels of fluoride is good for dental health. 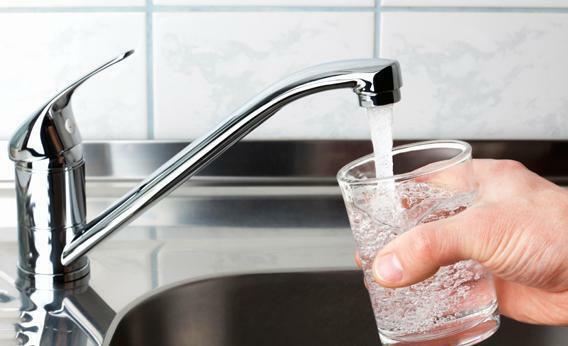 As of 2010, almost three-quarters of Americans drink fluoridated water from community water systems, and the nation’s 30 most populous cities consume it. With one weird exception: Portland, Ore., whose water system, sourced from the Bull Run River, serves 900,000 people. A fluoridation proposal was put up for a popular vote in 1956, when many major metropolitan areas were adopting the practice, but it failed by a sizeable margin: 105,191 to 75,354. A similar attempt in 1962 failed, too. The late 1970s saw a flurry of activity, long after the issue had faded from the national political discourse. Oregon voters killed a statewide ballot initiative that would have banned fluoride (1976); Portlanders voted to add fluoride to the water (1978); and then they reversed course and voted to keep it out of the water supply (1980). Resistance was just beginning. The banners of dissent were quickly raised. A public hearing on the ordinance lasted for almost seven hours, and almost all of the speaking time was taken by people against fluoridation. When the council voted the motion through, protesters booed loudly, vowing to bring the matter before the public. (Several of the more boisterous activists were expelled from the chamber.) Within a month more than 43,000 signatures were collected, more than twice the number needed to bring the issue to a popular vote. On paper, the fight over fluoridating Portland’s water supply looks absurdly uneven. The pro-fluoridation group Healthy Kids, Healthy Portland, as of May 13, had received $689,376 in cash and $65,093.64 in the form of donated supplies and labor. The anti-fluoridation Clean Water Portland received $194,333 and $59,137. Healthy Kids enjoys the backing of a diverse coalition that ranges from major health care and dental providers, such as Kaiser Permanente and the Oregon Dental Association (both have donated tens of thousands of dollars), to organized labor and almost all of the region’s major groups representing and organizing with people of color and low-income communities. Oregon’s Wild West campaign spending laws (they basically don’t have any) allow huge contributions: The Northwest Health Foundation alone has donated well over $200,000. The Urban League is the premiere advocacy group for Portland’s African-American community and it has an organizer devoted full-time to the cause. Clean Water Portland’s anti-fluoridation supporters include the Pacific Green Party, Nutritional Therapy Association, Organic Consumers Association, Oregon Association of Acupuncture and Oriental Medicine, and the Cascade Club, a local libertarian think tank. The Portland chapter of the NAACP is the only local organization representing people of color that has come out against fluoride, but according to most political observers it is tiny and has very little influence. (United Latin American Citizens is also listed as a supporter because their national organization has opposed the policy generally, but according to Barnes their Portland chapter has not officially endorsed CWP.) Out-of-state supporters include the Fluoride Action Group and Kansas Taxpayers Network, which is a far-right group that recently merged with Americans for Prosperity. Anti-fluoride funding also comes from a variety of groups bearing the name of Joseph Mercola, a doctor the FDA censured multiple times for making untrue health claims. His website includes articles opposing fluoridation, vaccinations, and mammograms. Mercola.com also features an extensive interview with a man who denies that HIV causes AIDS. The anti-fluoridation appeal appears to be working. While an August 2012 poll showed the two sides evenly splitting the vote, a poll conducted by KATU last week shows the fluoride opposition ahead by 48 to 39 percent. The pollsters interviewed 800 Portlanders and found especially strong opposition among African-American, Asian, and especially Latino voters, who expressed only 9 percent support. A look back at Oregonian accounts from the 1950s shows that relying on medical and scientific rationality has not been a successful strategy. Pro-fluoride forces called on an impressive list of supporters to sway voters; one article includes a list of scientific, dental, and medical organizations in support of fluoridation that goes on for four paragraphs. While there are surely conspiracy theorists and anti-government militants among the ranks of today’s Clean Water Portland, the organization’s spokespeople and supporters generally do not express the conservative rhetoric (such as invoking “socialized medicine”) that defines fluoride opposition elsewhere. Such tactics would never work in this liberal city. Instead, opponents rely on attachment to the environment and natural health care, as well as the current mistrust of pretty much all institutions. The 2012 Smile Oregon survey shows the state’s oral health improving, but that doesn’t disprove the utility of fluoride, especially because the factors that have allowed these improvements are not standardized or funded sustainably. “One example is the first tooth program frequently talked about by the opponents, which trains med[ical] staff to do dental screenings and [fluoride] varnishes among other things,” says Mike Plunkett, Dental Director of CareOregon (which has donated tens of thousands of dollars to Healthy Kids) and public health dentist at Neighborhood Health Center, a community health center that serves primarily Medicaid enrollees and the uninsured. “They call it a very success[ful] federally funded program that should be expanded. … It lost its federal funding last year and has a questionable financial future to say the least.” It is frequently claimed that European nations have abandoned the practice of fluoridation, which simply isn’t true. (Britain, Ireland, and Spain fluoridate their water, while other nations put fluoride in table salt or get it naturally from drinking water, as in Sweden and Italy.) Clean Water Portland insists that emerging science supports its claims, but most of them consist of data cherry-picked from limited research and studies that actually conclude in favor of fluoridation. Politically, that hasn’t really mattered. It’s easy to sow fear about chemicals being dumped in a pure, natural resource. The pro-fluoridation Healthy Kids, Healthy Portland simply seems to have been out-organized. They haven’t done a good job of refuting inaccurate claims, instead mostly sticking to arguing in favor of fluoride’s positive effect on dental health. They’ve brought policy papers to a gun fight. But doubt and fear can trump rationality. Many Portlanders have “an enlightened sense of natural [connection],” says Plunkett. Opponents of fluoridation say it “is going to taint that pure relationship, then they produce enough doubt.” And as we know from things like anti-vaccination efforts and the political debate over climate change, creation of doubt can be enough to win.